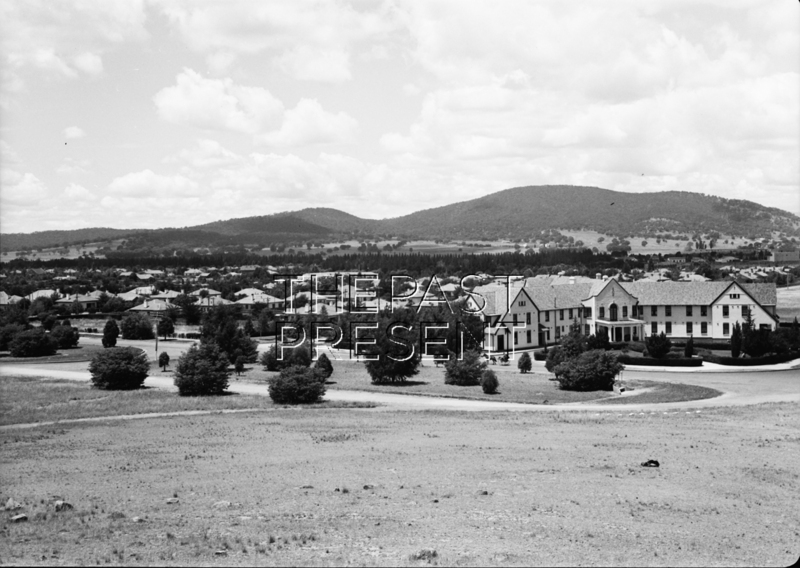 Residential district and Hotel Ainslie in North Central part of Canberra lowland. This week is a time to celebrate New Beginnings at The Past Present. Not only are we finally launching our blog, but we are celebrating 100 years since Canberra, Australia’s Capital City, received its name. To celebrate, the Past Present presents an image of a Canberra which is long gone. When Canberra received its name in 1913 it marked a new beginning for the area. Europeans had been in the Canberra region since the 1820s, and Aboriginal occupation by the Ngunnawal People dates back even further, to 21000 years ago. Yet up until the new name was given to the area, Canberra had simply been a farming community. The new name commemorated the past, being derived from the name Canberry, which was the name of the sheep station established by the first European settler in the area, Joshua John Moore. The sheep station in turn had possibly taken its name from the Aboriginal word for the area. Yet the name also pointed to a more illustrious future for the region. In 1901 Australia had become Federated and a National Capital had to be decided on where Federal Parliament could sit. The Canberra area was chosen as the site in 1908 and the Australian Capital Territory was declared in 1911. A competition was held to design the Capital City for the area, which of course Walter Burley Griffin went on to win. The city would need a name though and when this name, Canberra, was officially declared in 1913, Canberra’s future was assured. This photo was taken in 1936 by an unknown photographer. It shows Canberra as young city, with few buildings. Indeed many of the buildings we recognise today were not yet completed, and some were not even underway. (Old) Parliament House had opened less than 10 years before, the Australian War Memorial would not be completed for another 5 years, the National Library as we recognise it would not be opened for more than 30 years and the National Gallery would not even be built for nearly 50 years. The Canberra captured in this image is still a small, rural community, with an important future ahead.